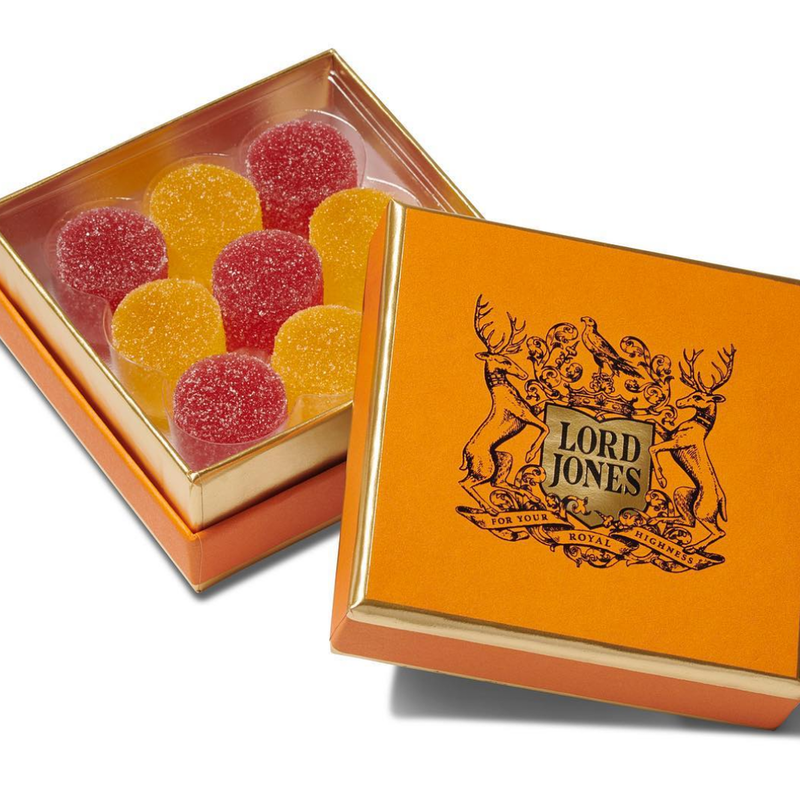 Lord Jones CBD gumdrops are made by hand in small batches from natural fruit flavors, gelatin, citric acid, sugar and the finest broad spectrum CBD extract. CBD (cannabidiol). Each gumdrop contains 20mg of CBD. Handmade in small batches with natural fruit flavors, sugar, citric acid, gelatin, hemp-derived CBD extract. 20mg CBD per gumdrop, 9 count per box. Naturally flavored with imported citrus and berry European fruit essences. Lab-tested to ensure purity and potency. Ingredients: Natural fruit flavors, gelatin, citric acid, sugar and the finest broad spectrum CBD extract.